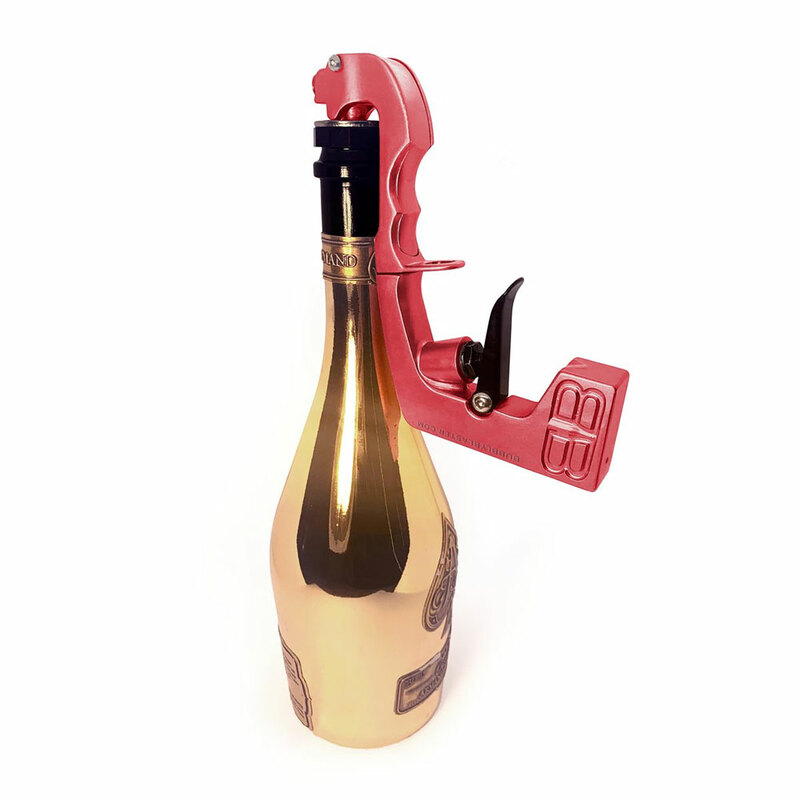 In conceiving their one-handed Champagne gun, Bubbly Blaster must have asked themselves, "What would Han do?" Or maybe they saw if Industries' Han Solo DL-44 Blaster Flask prototype, and decided they could do one better than a flask. 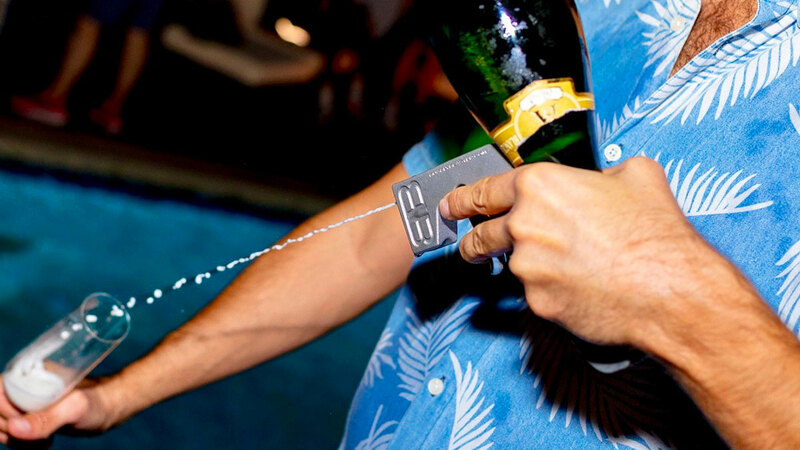 And a prototype. 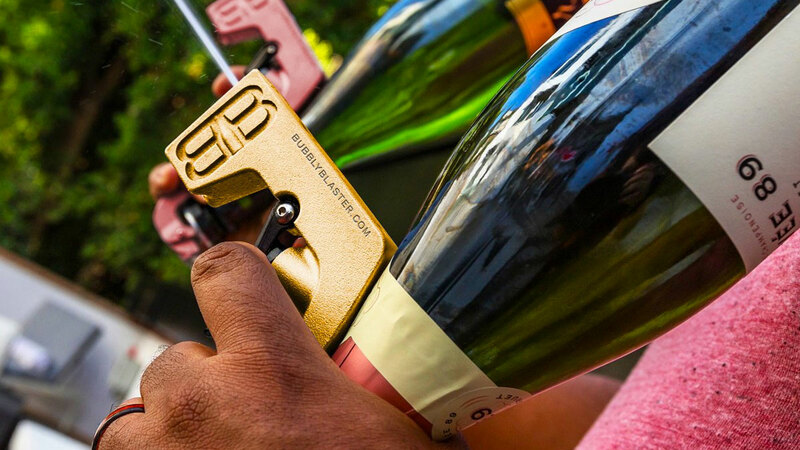 So now we have the Bubbly Blaster, a party-ready shooter of the Champagne that requires just one hand and one 750mL bottle of your favorite sparkling wine. And by "favorite" I mean "cheapest." 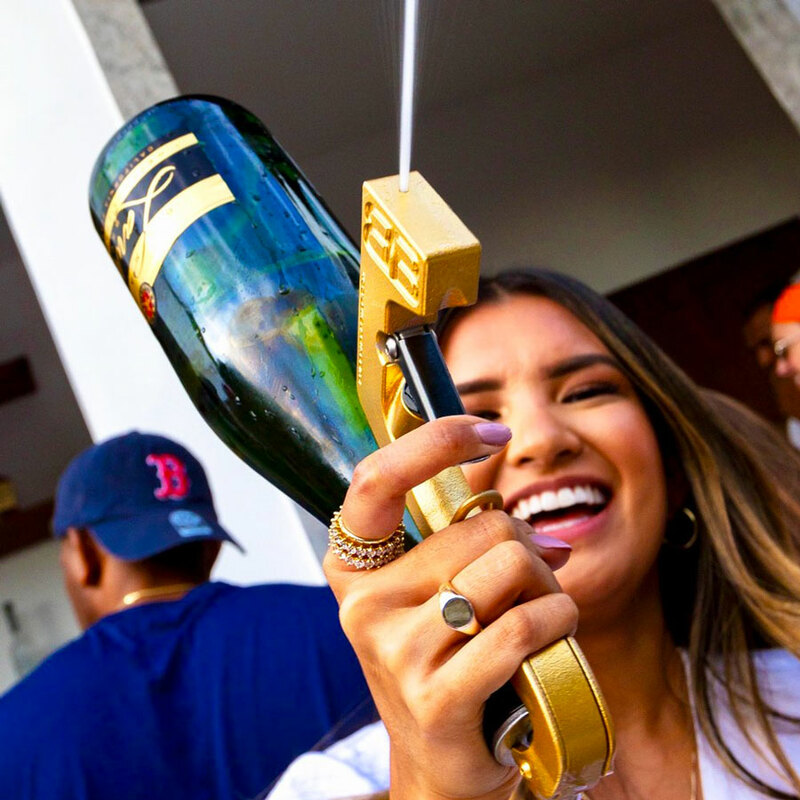 Unless you've got Jay-Z dollars to fire away, I'd load up my Bubbly Blaster with something more along the lines of Cook's than Cristal before attempting to send a stream of champers a Bubbly Blaster max of 30' feet away.